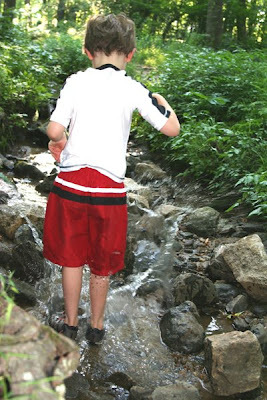 Playing in creeks is the definition of summertime fun in my memories of childhood so we headed out to our favorite creek to escape the hot weather and indulge in some messy fun. Finn made his first foray into the unchartered territory of creek walking and tentatively hung out there for a few minutes. Then decided the dry ground is his home for now. 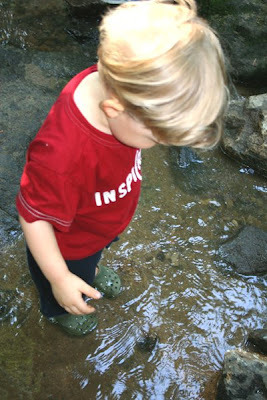 Philip, on the contrary, spent his entire time in the creek, wading around, dropping rocks. 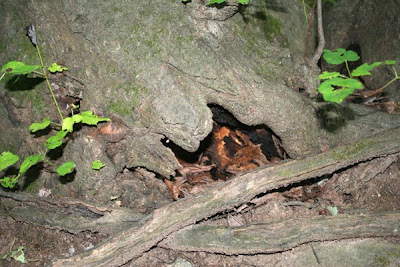 He even discovered a small hollow in a tree beside the creek that he was convinced was the home of a gnome. 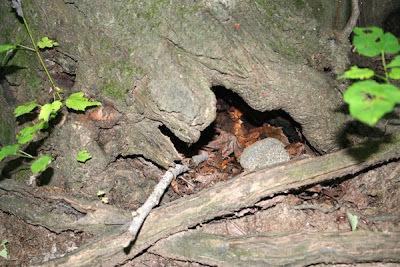 So he left it a perfectly smooth rock as a reading chair and a walking stick, just in case the gnome should decide to go for a hike. 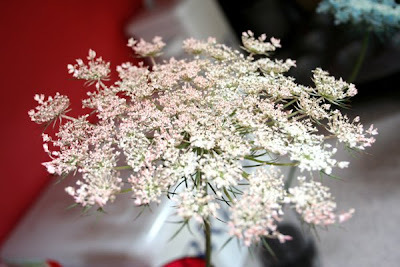 Paulie and Elizabeth decided to bring in Queen Anne's Lace to see if they could change the lace color with food coloring. Paulie's is harder to see since it's pink and our kitchen walls are red. Elizabeth's blue showed up quite nicely. Nothing like a creek on a hot summer day! Fun! 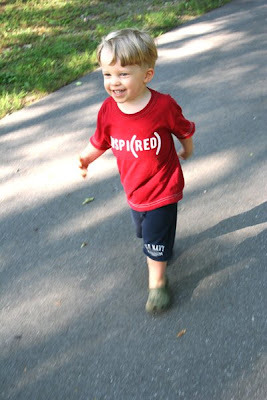 It is finally summer here and our children are asking to go to the brook today as well! What a wonderfully creative blog...your children look so happy. I remember playing for hours in a creek by our house when I was growing up. Great memories! Love the little gnome home! Looks like a great day Joy! That creek looks like a fun place to play. 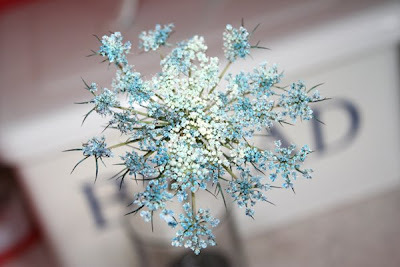 Great idea with the Queen Ann's Lace!